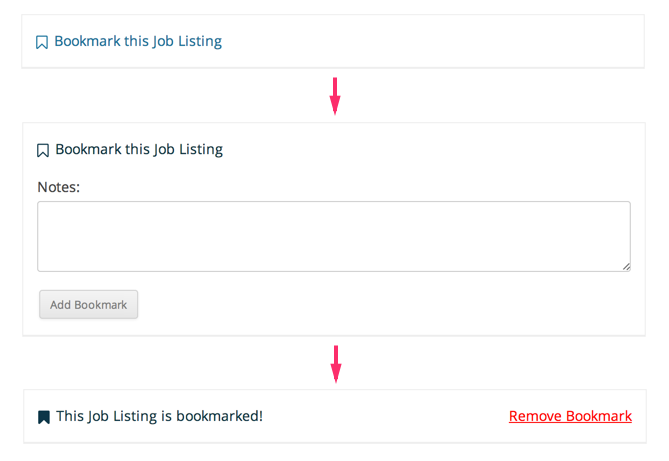 The bookmarks add-on is a simple solution for allowing candidates to bookmark jobs, and employers to bookmark resumes (if using the resume add-on). Either type of bookmark can be given a note, allowing you to keep track of why you bookmarked an item. This plugin also has a shortcode which allows you to list a user’s bookmarks in a table.